A study abroad semester in Spain is one example of a Living Legacy Foundation sponsored project. Stock photo credit The LEAF Project on Flickr. During my many heartfelt discussions with grandparents about their legacies (financial and otherwise), something always nagged at me. Virtually all those discussion began with somebody declaring solemnly, “After I die…” as the preamble to their ideas. Why do we have to be dead before the fruits of our labors can be put to good use? Why can’t we savor the outcomes and experiences together with our heirs? And that’s what sparked the idea that grew into the Witkovsky Living Legacy Foundation. It’s been such a rewarding undertaking for our family that I’m sharing the nuts-and-bolts with you as a guide, should you wish to create a “Living Legacy” suited to your family’s unique relationships, needs, and goals. For starters: a Living Legacy Foundation, as we’ve devised it, is not a “family foundation” in the usual sense. Its “board of directors” and its beneficiaries are one and the same: they’re the grandchildren (ages 13 and up). How (or if) the monies are allocated, who gets how much—is strictly for them to decide together, by and for themselves. Let me also point out that you do not need to be a Grand-Daddy Warbucks to get a Living Legacy Foundation off the ground; I’m surely not one! Even a relatively modest fund of several hundred dollars can provide a meaningful and extremely satisfying experience for all. (Of course, the more dollars you are willing or able to invest, the more significant proposals you can underwrite. 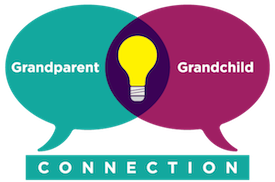 Excerpted from The Grandest Love: Inspiring the Grandparent-Grandchild Connection by grandparenting expert Jerry Witkovsky of Deerfield, IL in the greater Chicago area. PreviousPrevious post:Dear Grandpa…Here’s What I Learned from YouNextNext post:Grandparents Day is 9/13. How are you celebrating? I love the idea of a “living” legacy. I look forward to hearing more! Thank you so much for sharing in the GRAND Social!